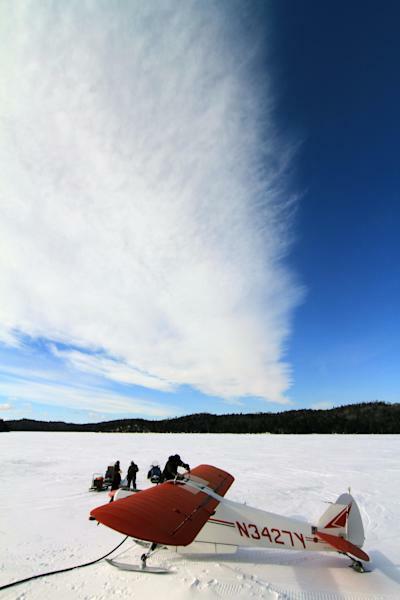 TRAVERSE CITY, Mich. (AP) — For visitors to Isle Royale National Park, nothing beats the spine-tingling thrill of a wolf's howl piercing an otherwise silent night — or a glimpse of the wily beast slipping across a forest path. But such experiences are becoming increasingly rare, and before long may disappear forever. The gray wolf population has dropped steadily in recent years at Isle Royale, a rocky, heavily wooded archipelago in Lake Superior that is among the least visited national parks because of its remote location — a six-hour ferryboat ride from the Michigan mainland. Eight wolves remained when the last count was taken last winter, the lowest since the 1950s, although a couple of pups are believed to have been born this year. They've averaged 23 over the years. Scientists believe inbreeding, disease and a temporary shortage of the moose on which the wolves feed are responsible for the drop-off. The wolves and moose are subjects of the world's longest-running study of a predator-prey relationship in a closed ecosystem, which raises a thorny question for scientists: Should they intervene to preserve the wolves or let nature take its course? The issue is forcing park managers to make an uncomfortable choice between their traditional hands-off policy toward wildlife and ensuring that Isle Royale continues to have wolves, a point of pride and longtime drawing card for visitors. The situation could set precedents for other parks, refuges and wilderness areas dealing with threats to iconic species as climate change alters the environment. "This is going to help define what we think the word 'conservation' means during an era of tremendous global change," said John Vucetich of Michigan Technological University. Vucetich and fellow biologist Rolf Peterson, who lead the wolf-moose study, are lobbying park officials to bring a few mainland wolves to the island, where they could invigorate the gene pool. Moose showed up on Isle Royale, which consists of one large island and hundreds of small ones, around the turn of the 20th century. It's unknown whether they swam or people brought them. Wolves arrived in the late 1940s, probably by crossing an ice bridge from the Canadian shore 15 miles away. With Lake Superior's winter ice cover shrinking, it's considered unlikely that other wolves will get that chance. Wolves have become valuable to Isle Royale's health by preventing a moose population explosion that would devastate the vegetation on which many animals depend, Vucetich and Peterson say. After slumping a few years ago, the moose have bounced back with the wolves' decline and totaled nearly 1,000 in the latest census. The study leaders contend the time has come to make preserving ecosystems a higher priority than the principle of non-intervention. Humans have already influenced almost every portion of the earth, Vucetich said. "From today forward, there will be increasing instances where the preservation of an ecosystem's integrity will require human assistance." But David Mech of the U.S. Geological Survey, who was among the first to observe the Isle Royale wolves in the late 1950s, says scientists can also learn from watching how long the wolves survive inbreeding without intervention. This information would be "invaluable not only to understanding basic wolf genetics and behavior, but also to the entire field of conservation genetics," he said in a paper scheduled for publication. Park Superintendent Phyllis Green is considering the options. "We need to make a decision before nature makes it for us," she said. Thus far, officials are skeptical that wolf rescue would advance the park's mission. Isle Royale is almost entirely a federal wilderness area, a designation favoring natural evolution over human influence. Caribou and lynx disappeared in the early 20th century after populating the island for thousands of years, Green said. "If you start to tinker ... you're changing from being an observer to making it an experiment," she said. Despite averaging just 17,000 visitors a year — fewer than Yellowstone National Park gets in a day — Isle Royale has devoted followers. Established in 1940, it has no roads and sparse accommodations. Most people hike and camp in the rugged backwoods, where terrain varies from swamps to northern hardwoods and the highest point is 1,394 feet above sea level. 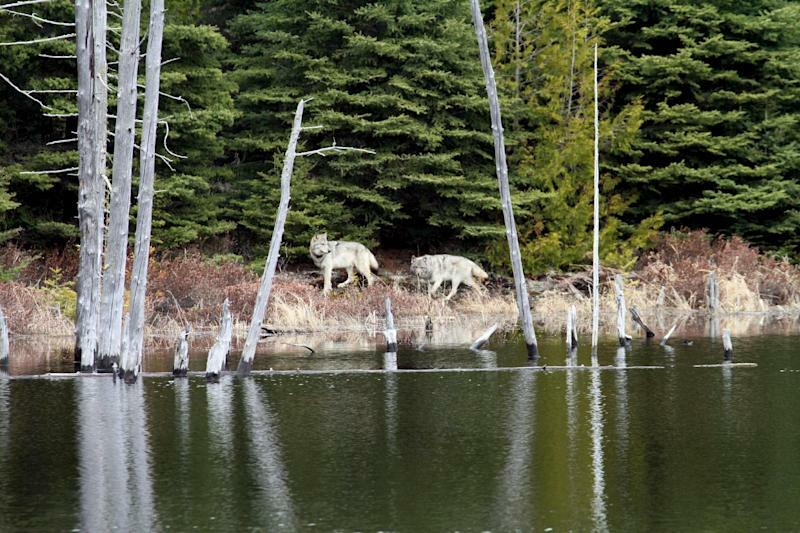 Like the scientists, Isle Royale visitors represent both sides of the wolf debate. "Just knowing the wolves are on the landscape as you crawl into your tent makes it all the more special," said George Desort, a Chicago resident who has made two films about the park and favors intervention. 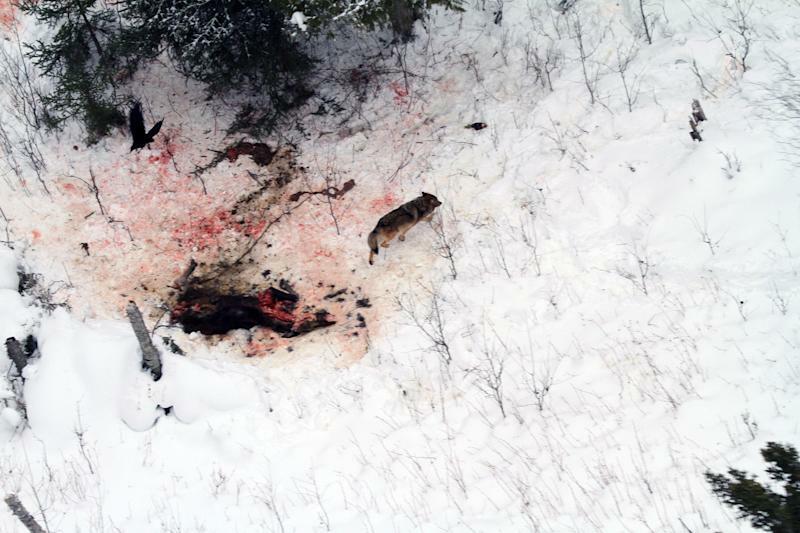 Bob Welsh, a repeat camper and backpacker from Jackson, Mich., leans toward leaving the wolves' fate in nature's hands. "We have the same obligation to all the plants and animals out there, whether they're cute or not," he said. "It's not a zoo."